MICRO-BEND CNC Hydraulic Press Brake - G & W Machinery Sales, Inc.
Don't you have enough space for a press brake? We are offering you Micro-Bend, the most productive and smallest size with hydraulics in its class. 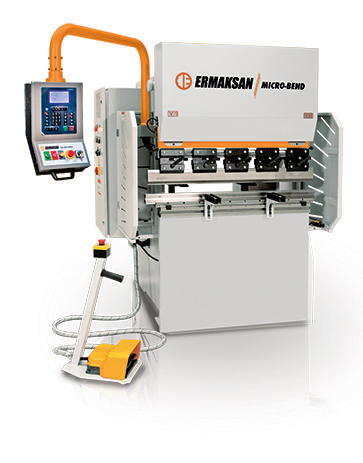 Micro-Bend, with low investment cost and ergonomic design with high productivity, has the capacity to bend 5 mm mild steel with 1 m X 40 tn press force and single axis backgauge.